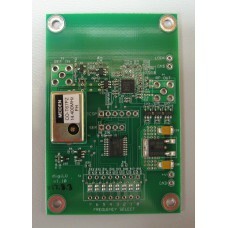 The digiLO is a wideband Fractional-N / Integer-N PLL Synthesizer capable of generating signals from 23.5MHz to 6GHz. Measuring only 2” x 3”, it's primarily designed for use as a transverter's local oscillator. But it can also be used as a low-level signal source. It comes pre-programmed with over a hundred popular frequencies. Custom frequencies are also available. Connection to an external 10MHz reference is recommended. But the digiLO automatically switches to its on-board TCXO reference when its 10MHz external reference is not detected. A “LOCK” indicator for direct connection to a LED is also provided.